We are located in Kalispell Montana, west of Glacier National Park (see map below). We are situated outside hundreds of miles of beautiful forest and mountain trails suitable for complete beginner to experienced riders. We offer fully guided Side x Side tours to suit all ages and abilities. From the last weekend of May to October we offer daily Side x Side tours. Departures daily at 9am and 2pm. Flathead Offroad Adventures in the only permitted company in the Flathead to give Side x Side tours in the Flathead National Forest, Swan Ranger District on Blacktail Mountain. Never driven a Side x Side before? No problem! Our experienced and professional guide will provide you with a full safety briefing and instruction prior to departure. There is ample opportunity to practice your driving skills and become familiar with the machine before we hit the trail. We ride at a leisurely pace and you will never have to ride any faster than you wish or on terrain that exceeds your comfort level. Our goal is to provide you with a safe, memorable and highly enjoyable experience. We go Rain or Shine! 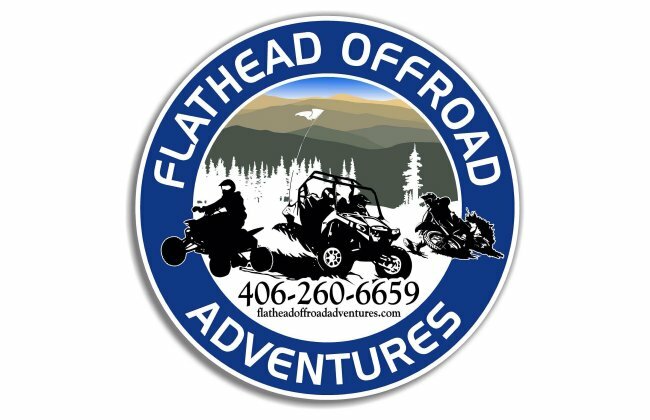 (Flathead Offroad Adventures will determine if weather is too dangerous, a reschedule or refund will be offered). P.S. You are more then likely to get a little dusty & dirty on this trip, but all while having fun and soaking in the scenery! Our Side x Side tours are comfortable scenic wilderness experiences that are suitable for all members of the family and all ages and experience levels. We use Side x Side’s as a fun method of transport to access beautiful places with plenty of time to stop for photographs. 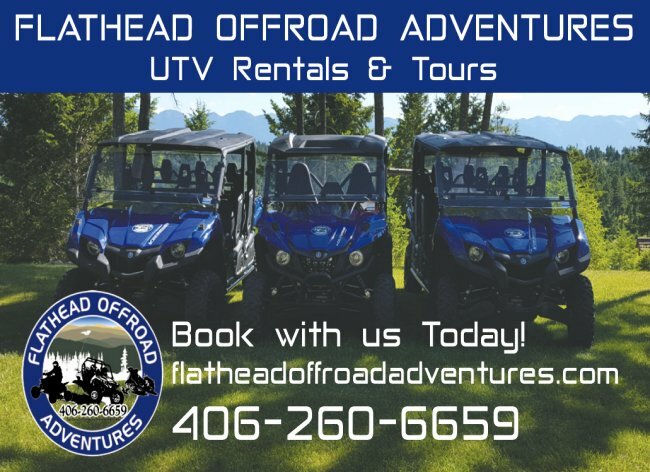 Our mountain trails are well formed and easy grade back-country roads that take you through out the Flathead National Forest in the Swan Range island Unit. There is a possibility to view many species of wildlife such as elk, deer, moose, coyotes, bears, and bald eagles.